Politicians of doubtful character have often found a niche and taken prominent parts in the governance of the country. They took centre stage with their strident words that covered their charade of patriotism under which they did not hesitate to exploit this country for their personal advantage. These bogus patriots would abuse the power the people have vested in them to usurp their office and to misuse agencies and personnel of the government for their nefarious private purposes and make as much money as possible and build palatial houses for themselves and their kith and kin all the while accusing others of conspiratorial activities. They have gained millions through their politics in the last government and ensconced their catchers and henchmen in positions in which they safely engage in corrupt practices. True Sri Lankans – fortunately, the vast majority of the citizens of Sri Lanka – of all communities and religions in this country have been confined to the background for a very long time. They have been silently earning their living by the sweat of their brow, by working hard, attending to their duties and sacrificing themselves to educate and bring up their children to live honourably. Patriotism is devotion to the Fatherland. The Fatherland’s territory and all the people who live in that territory are sacred. Territory, its resources and people should be developed and maintained. Opponents of the government pose as patriots even though they were ravenous wolves when they were in power. Yahapalanaya politicians presenting themselves as sober minded rulers promised to ensure congenial social conditions for all to live in harmony and peace. They professed to promote inter-community and inter-religious understanding and reconciliation while striving to bring about democratic openness to human rights, freedom, equality, social cohesion and economic prosperity. The carefree attitude of some government members and many of the joint opposition with their vague political vision and some public servants seem to be undermining that promise; some public servants deliberately undermine reconciliation and peace by acting dishonourably and sewing seeds of religious and racial discord. Much could have been achieved immediately after the defeat of the LTTE and the cessation of hostilities. That the war was not against the Tamil people but against an armed insurrection could have been convincingly demonstrated if, after the war, there was genuine goodwill and willingness to promote island-wide reconciliation at all levels of the national community. The powerful people of the day let pass that opportunity due to their political greed. Today active reconciliation is promoted by some civic and religious groups convinced of the positive attitudes transmitted by their social traditions and religious beliefs towards all humanity, while others are still enslaved in their prejudices. But the past regime from their inherited tradition and political cunning ingrained in the xenophobic anti-Tamil, anti-Muslim, anti-minority mentality could not divest themselves of their prejudices sufficiently to win the hearts and minds of the nominal Sinhala Buddhists remaining gullible to a false propaganda of politically correct Buddhism. The corrupt, socially deficient Rajapaksa regime that corrupted the public service and other segments of society seemed to be planning to reincarnate a feudal mentality and establish a monarchical dynasty. That the people of Sri Lanka had long passed the feudal stage and had moved towards a democratic way of life and participatory government was not within their grasp, lacking as they were of an intellectual calibre needed for today and sobriety of judgment. Superiority and inferiority complexes of the past regime and their penchant to manipulate people distorted their judgments on many matters. They not only did not understand what patriotism is, they also mishandled public administration, which they presumed was an area they could resort to towards an unrestricted exercise of power irrespective of whether such exercise was in order or irregular, just or unjust, fair or unfair. This was often exhibited in the coarse ways they used public property and money for electoral campaigns and private purposes. Power blinded their reason, warped their humanity making their behaviour not only ill-mannered and boorish but downright uncivilized and brutal on far too many occasions when they ignored the people’s plea for justice but responded to them with bullets. At least on the surface, everyone is a patriot in Sri Lanka. It is especially so among the politicians aligned to the defeated regime continuing to be unashamedly chauvinistic. Their populist movements lower and downgrade everyone outside their narrow racist, fascist, xenophobic existence. They are leading the people to a cultural crisis and a perilous political horizon. Their patriotism amounts to suspicion, racism, negative feelings and even demonization of those disagreeing with their political stances. Underneath it also lie envy, jealousy, fear, unhealed wounds of the past caused by ideological and superficial political differences. They are unable to understand patriotism as a natural love for the Fatherland, inherited by the clean-hearted from the community into which one is born and in which one has cultivated a loyalty with a desire to pass it on as a living tradition worthy of self-sacrifice. They are unable to understand that love of the Fatherland and all that is of value in it need not undermine a true love of every group of people inhabiting the Land or for that matter, all humanity inhabiting the globe. Many politicians have not understood that patriotism is not compatible with deceiving the people of this country, and by-passing the people in favour of their own relatives and political catchers in allocating ambassadorial and lucrative positions, state corporation managerial posts as well as houses, lands and loan facilities. Patriotism is in no way compatible with deceiving state authorities or agencies of state, roaming the world without attending in parliamentary sittings and attending to the public duties one has been elected to do. The corrupt few contaminate many with their detestable infection. 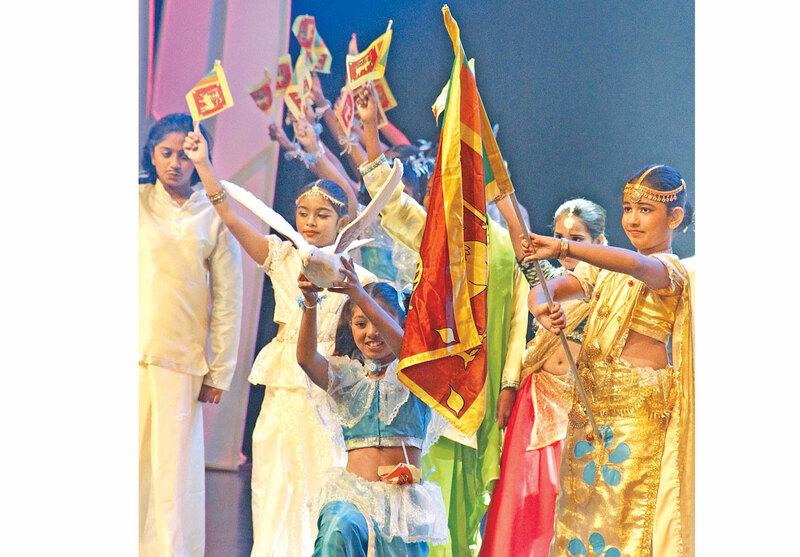 It is up to the majority of true Sri Lankans to become immune to this viral infection and resist and withstand the onslaught of corruption by living honourably and handing over a self-respecting tradition of honour to the younger generation. They should also be consistent and elect true Sri Lankans and not bogus patriots to represent them. Of what profit is life unless it be lived in mutual and honourable sharing?